Welcome to the next post in my Double Wedding Ring Quilt Along! Now that I've gotten the business part out of the way, let's get to the fun stuff! Did you download your Double Wedding Ring coloring pages? I hope you've had a little fun with designing your own DWR. It's so much fun to play around with colors, and to see how many different ways they can "flow" around the rings of the DWR. I admit, I love coloring. Always have. I just have to keep my coloring pencils out of the hands of my kids. Otherwise, they're never "mine" again. Are you ready? Let's jump right in, and talk about the templates. I prepared a video that will walk you through each step of preparing your templates. In this post, I'll talk briefly about them, but you'll really get the most from watching the video. This is our main layout template. See how it's shaped like an apple core block? As we move forward, we will use this to help up put together each of our units. When we have our finished units, they will be set together a lot like an apple core quilt design. 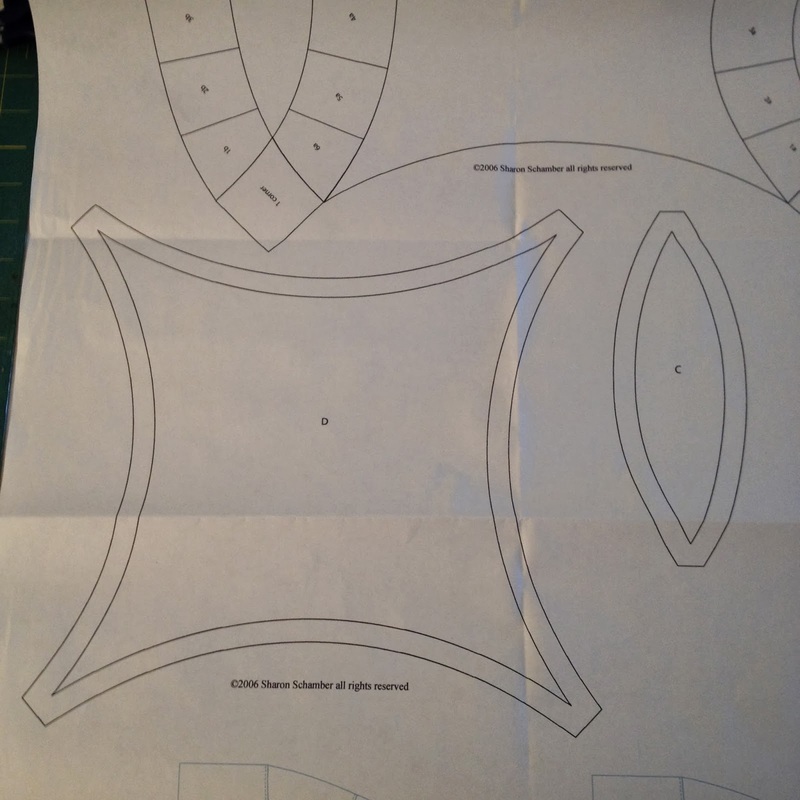 These are out cut-out templates for the centers of our arches, and for the center of the apple core unit. We will be using these to cut our background fabrics. This set of arch templates is for Step 1: Paperless Paper Piecing. We will be using these to cut and prepare our fabrics for our pieced arches. This set of arch templates is for Step 2: Turning. 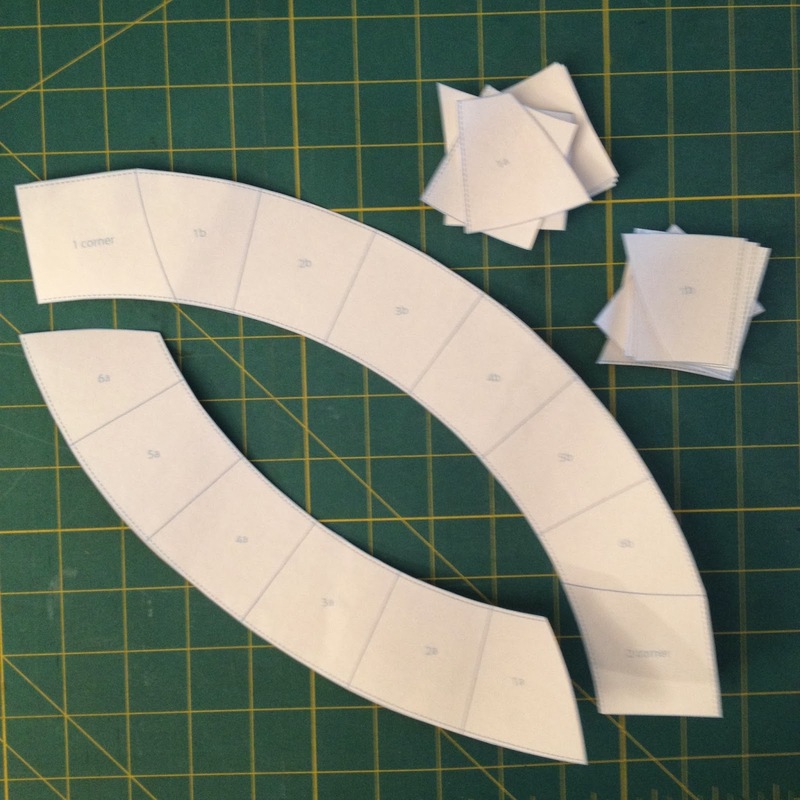 We will be using these templates for each type of arch: pieced, solid, and improv. It will help up create a smooth curved edge in preparation for sewing. 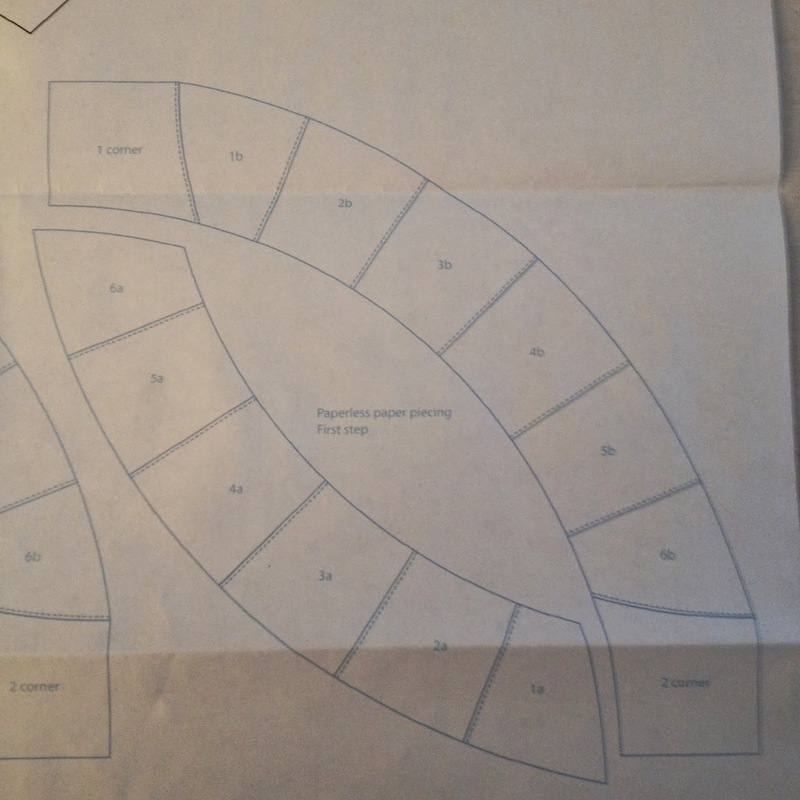 All of the templates, that we will be using, are printed on freezer paper. If you are making your own, at home, please preshrink your freezer paper (I show you how in the video), to prevent inaccuracies, with multiple uses. 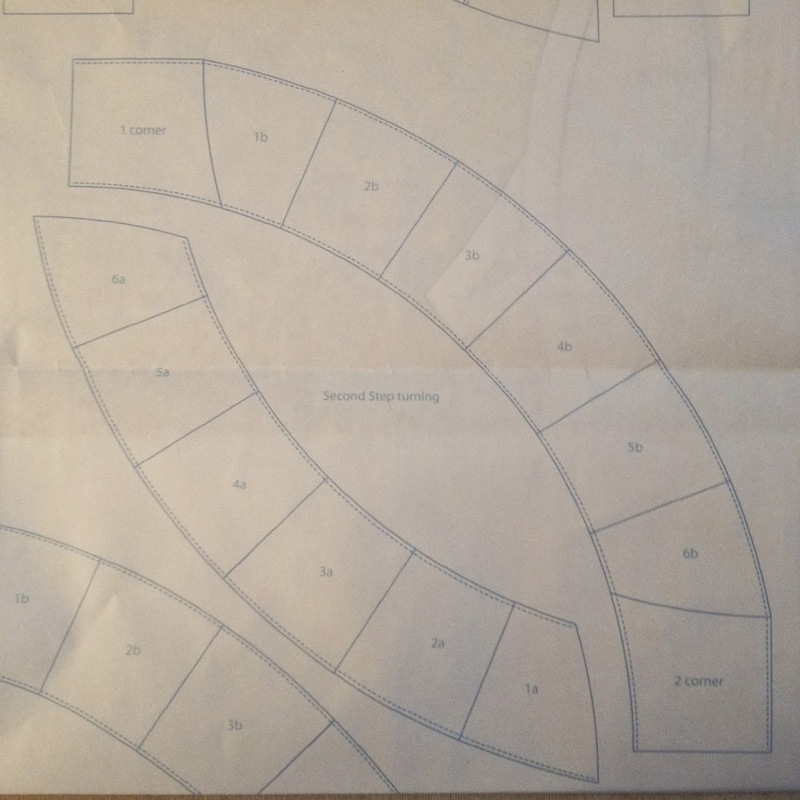 To print on freezer paper, cut it to size (either letter or legal size), and be sure to orient it so your printer will print onto the paper side. 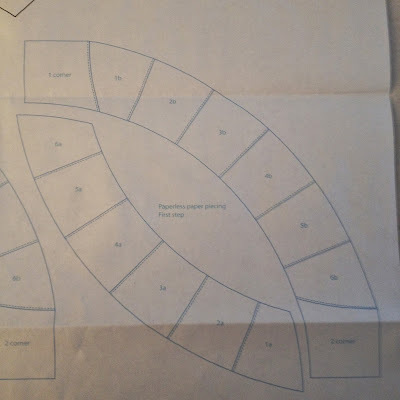 Once you have all of your arch templates prepped, this is what they should look like. Next up, we'll prep our fabric, and get started on our pieced arches.